Parchment and Pencils was never meant to be anything more than it’s first post. A university assignment that was set to help us find our way after our third year had finished. That assignment became Post-University Life. Every so often over the following 9 months. I occasionally felt the need to post something else. Sometimes related to my story writing, sometimes it was purely because I wanted to talk about how I felt. Everything I wrote found its place within Parchment and Pencils. It was writing centred and focused on my dream of becoming an author. Plus, as a total Harry Potter nerd, parchment feels crazy magical to me and pencils are my best friend when writing because I can so easily erase mistakes. It wasn’t until January when I did a bit of re-branding, ready for the new year, that I added my travel section and began to fill it with posts to document my plans and adventures (as seen at the bottom on this post). These posts quickly became my most popular – particularly my favourite, Sending Yourself A Postcard. I don’t know why I was so surprised by how much my travel posts picked up the viewing on my blog. It’s a popular industry and I have the proof that I can write about travel since it was my highest scoring module during my time at university! I’ve been conflicted about the name of my blog since writing these travel posts; and even more so since thinking about the direction my blog will be heading as I take off across the world! Parchment and Pencils is about a struggling student writer leaving university and heading into the real world. Should I perhaps be moving onto something more focused on my travels? I know from now on, my writing is going to be incredibly centred on travelling over novelling. I love the title of my blog dearly, and it set me off to become a writer, but is it still what I need? I’ve had friends and family argue that Parchment and Pencils stands for writing, and no matter what I’m writing about, at the end of the day it’s still writing. 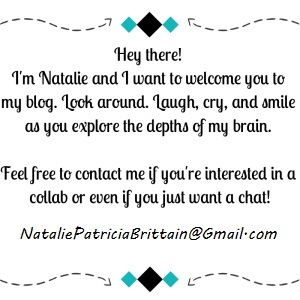 So does the name of my blog really matter? Will my travel writing be disregarded because the title doesn’t match? Would I be stupid to throw away what I’ve built here and start again? I’m giving myself till the end of the week to decide if I should change my name and start again to something more travel focused. I know I don’t want to leave it too last minute before I leave. So, if you have any advice of suggestions of that fate of Parchment and Pencils, that would be greatly appreciated! Expert would be a strong term! I suppose my worry is that as I’m about to go long term travelling (this could be for years!) I know that is (almost) all I will be writing about and I don’t want people to see the name of my blog and feel confused when all my content is travel related yet the title is perhaps more catered to creative writing?